A modern replacement for traditional creosote. Hazard safety codes: F, Xn: R36, R37, R38, R40, R51, R53, R65. 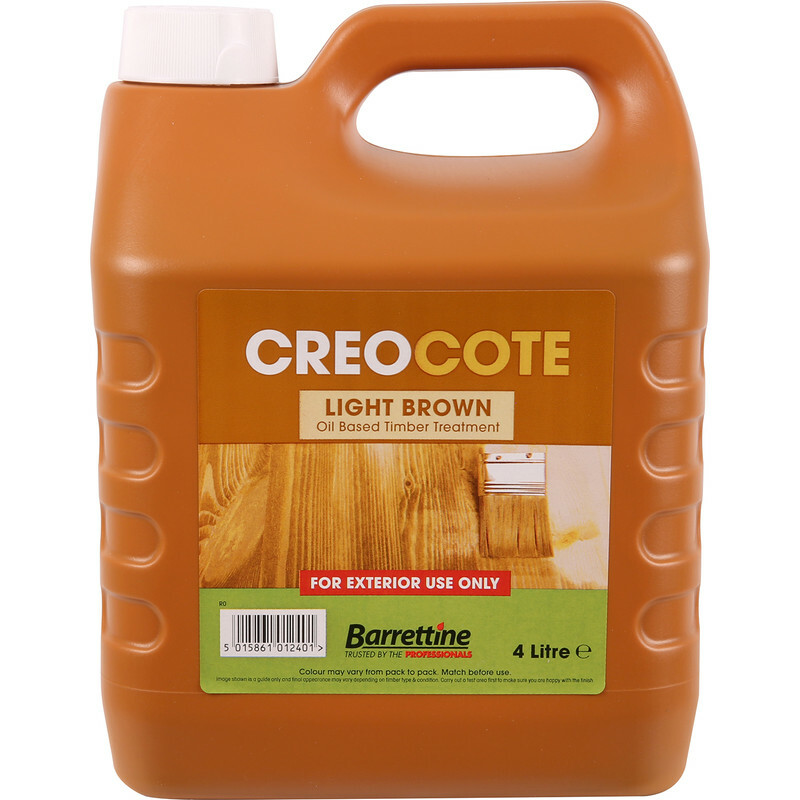 Creocote Shed & Fence Treatment 4L Light Brown is rated 4.7 out of 5 by 110. Rated 5 out of 5 by Catey from Great coverage, easy to use. I was advised to use an oil based product on a fence which was rebuilt using some of the old wood. After reading reviews about colour bought light brown. The colour was light on the new planed wood but darker on the older & new rough wood. I like both! Best to check on a seperate piece first. Rated 5 out of 5 by Joint painter 99 from Almost as good a genuine creosote As genuine creosote is now unavailable this is the next best thing! Rated 4 out of 5 by Ken999 from Does the job Have used this twice now, does the job. Rated 5 out of 5 by Dances12 from Great preservative and colorant Are used this on sleepers and the dark brown effect is very good. 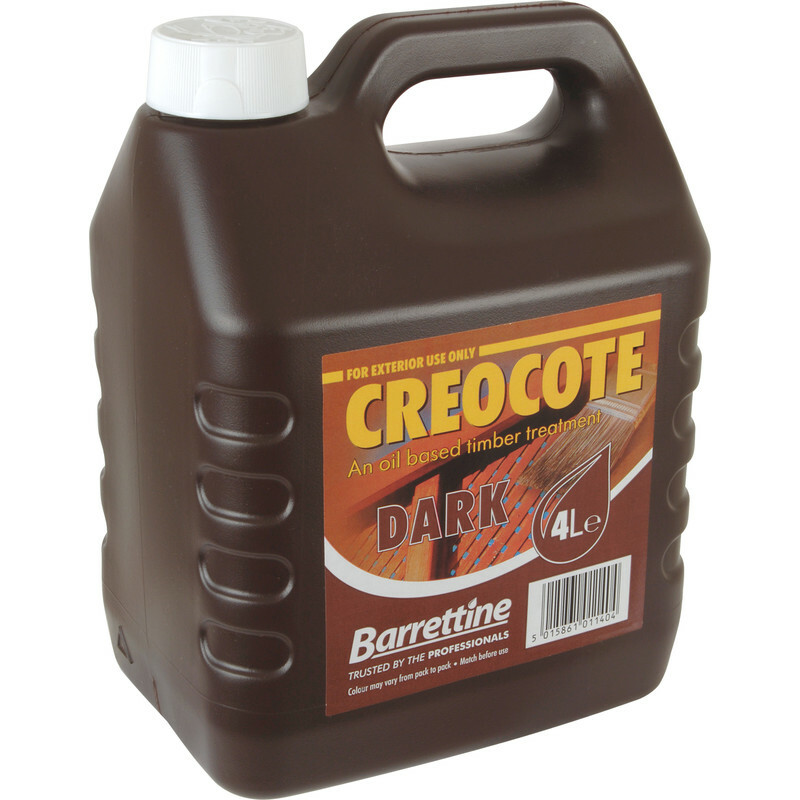 Rated 4 out of 5 by KAS1 from Creocote Shed & Fence Treatment 4L Dark Brown Good product, excellent delivery, slightly over priced for what it is! Rated 5 out of 5 by NS78 from Creocote - Light brown Excellent coverage of fence panels. Goes on darker than is shown on bottle more a mid brown. Soaks into fence panels really well. Much Better than the more well known water based products on the market.